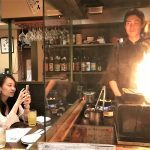 The Yojiya Cafe in Gion Kyoto. It got quite crowded at about 11am. Shops in Kyoto open late. 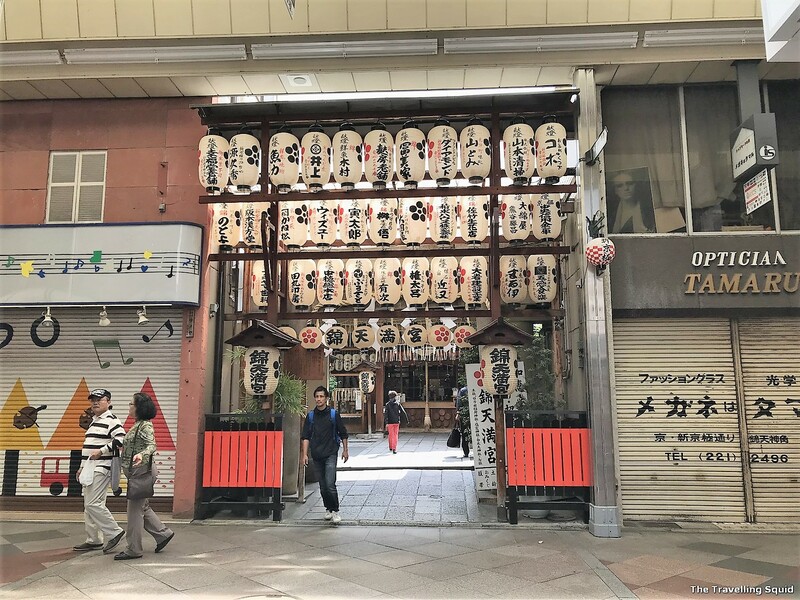 It was about 10am in the morning, and we were walking around the older parts of Kyoto looking for breakfast food. 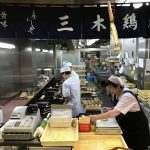 We had tamago at the Nishiki Market in Kyoto earlier but it wasn’t enough. 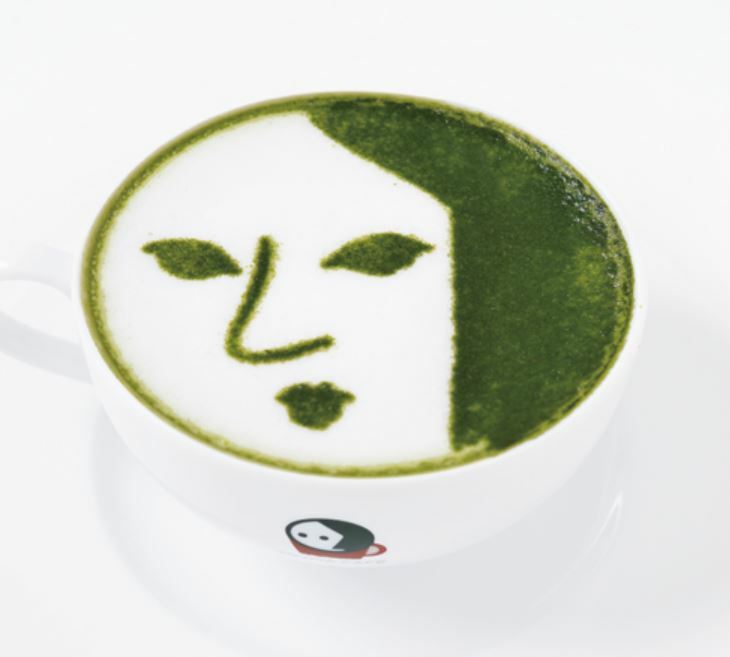 This is probably not a comprehensive review of Yojiya Cafe in Gion Kyoto because I didn’t have their signature lattes – with the foam in the design of a woman’s face. I mean it’s interesting, but for coffee, I’d prefer to have it black or a simple heart latte would suffice. That ensures that there is a good balance of crema on the top. 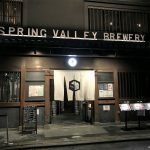 Yojiya Cafe strikes me as a nice place to hang out with friends. 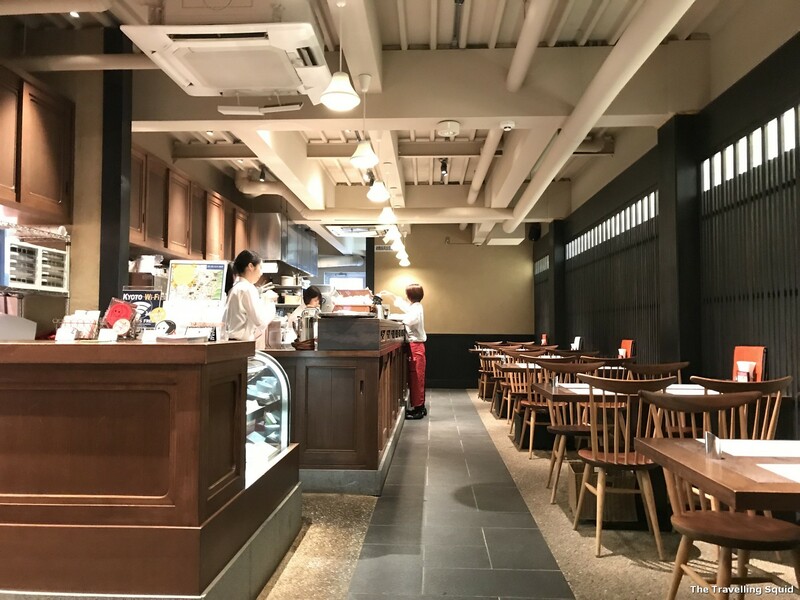 I like the wooden chairs and chic cafe design. I recalled using the washroom and it was spacious and well-designed. There were plenty of sweets and food on the menu. My only gripe is that we had to order a dessert or a drink each so we couldn’t share the green tea parfait. 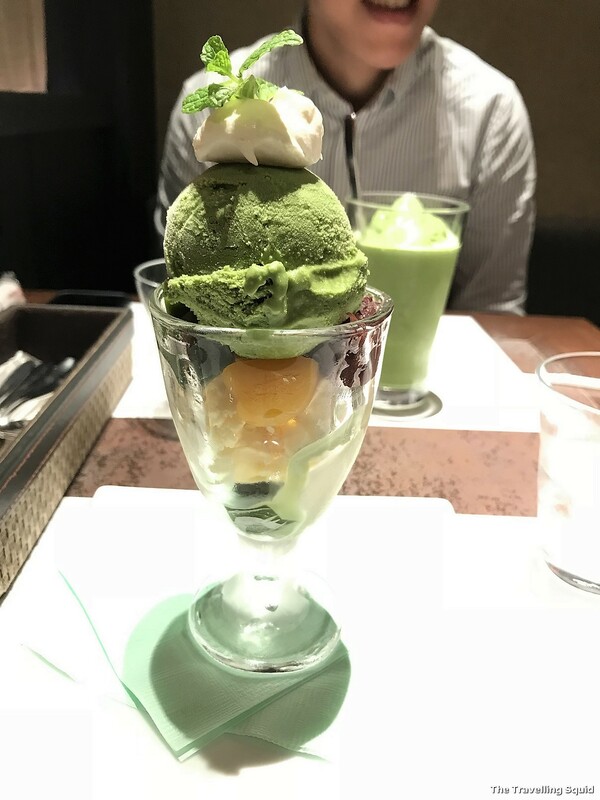 In the end, S had a matcha green tea ice-cream, and I had the green tea parfait. 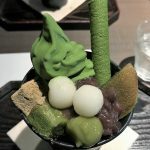 Having Japanese sweets at Yojiya Cafe in Gion Kyoto – The green tea parfait. It was one of my first few times having Japanese sweets so I can’t quite comment on the quality of parfait, except that it tasted good. There was a nice mix of flavours from the adzuki red beans and a little peach in the middle. The mochi at the end was a nice touch. I don’t normally eat whip cream, but the dollop was light and fluffy – something that went quite well with the ice-cream. While it did soothe my hunger early that morning, it left behind many calories. To me, a coffee loses its legitimacy when latte art becomes the focal point of the coffee. What I really liked about the Lake Side Cafe at Lake Kawaguchiko was that it was simple and straightforward. More effort was spent on the technique in making the coffee than making it look good. I find it difficult to tell the difference between a good and excellent green tea parfait. That said, I think balance is crucial because you don’t want to overwhelm the person eating it. 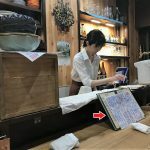 If you’re feeling tired walking around the older parts of Kyoto, Yojiya Cafe in Gion Kyoto could be a nice place to stop by. 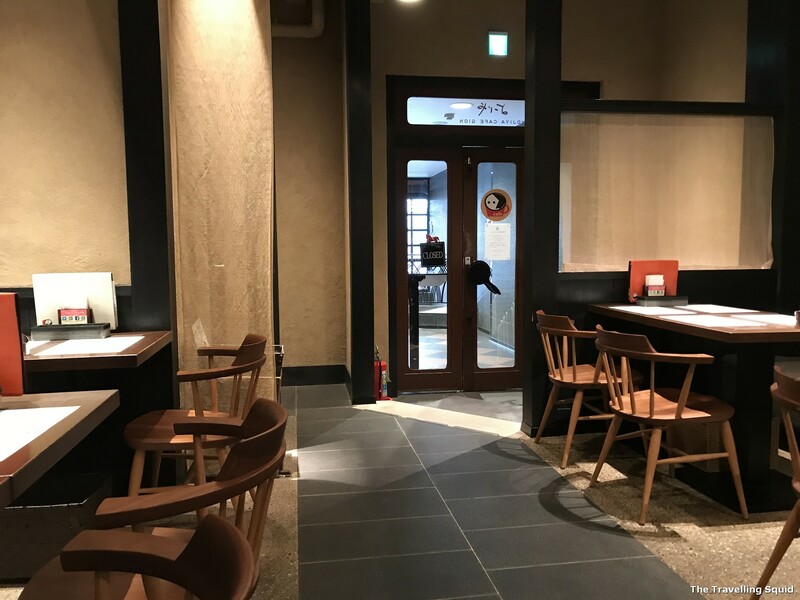 One Response to "Review: Having Japanese sweets at Yojiya Cafe in Gion Kyoto"